Happy Snapper is home of the most spectacular and affordable South Florida deep sea fishing fleet, where your deep sea fishing charters adventures begin...and you'll wish they'd never end! Let Happy Snapper be your private South Florida deep sea fishing charters and deep sea guides for the best salt water fishing around. Come aboard! You'll meet Captain Harold, at the Sands Harbor Marina for exciting 1/2 day, 3/4 day, or full day deep sea fishing charters adventures. 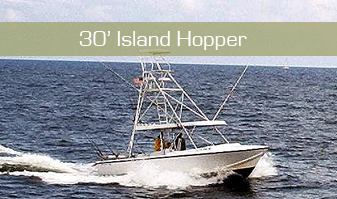 Captain Harold also offers trips to the Bahamas aboard the "Happy Snapper Too" for offshore Boca Raton, South Florida deep sea fishing. 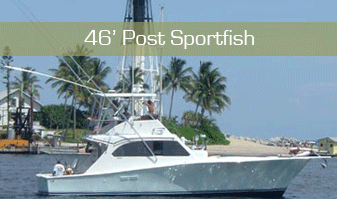 Charter prices include all bait and tackle, fishing licenses, soda and water. We offer a Black Fin Tuna, and Wahoo deep sea fishing charters and guides in and around Ft. Lauderdale, Pompano Beach, Miami and Boca Raton of South Florida. We really enjoy deep sea fishing in South Florida on the waters around Boca Raton for Sailfish and Mahi Mahi. We'll quickly and efficiently have our charters and guides lead you to the most productive local South Florida fishing in the deep sea waters of the great Atlantic. A light jacket may be needed on cool, winter mornings. There is a cooler aboard the Happy Snapper with ice on the boat for your sandwiches and food. The Happy Snapper Too has a full galley with upright refrigerator, microwave, and stovetop. You may keep any eating fish we catch, and cleaning your fish is also included with your trip. We will release any fish not intended for the table. Taxidermy services are available for that special fish ...... Even if we release him to fight again. When you book a trip, the boat is reserved for you and your party, only. You will not share the boat with another group, or person. Our cancellation window for each boat 72 hours or more prior to the charter for standard trips and 14 days or more for over six and yacht trips.